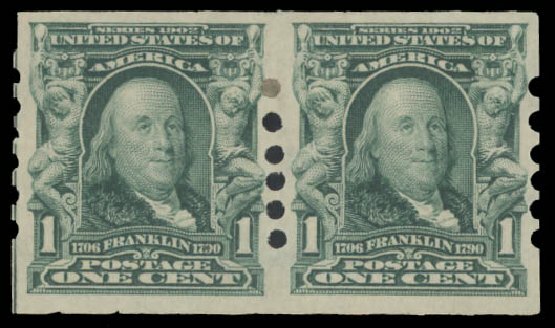 1906, 1¢ blue green, Schermack type II perfs (Scott 314), pair, o.g., hinge remnant, Very Fine, with 2014 P.F. certificate. Scott $350. Estimate price $200 – 300. 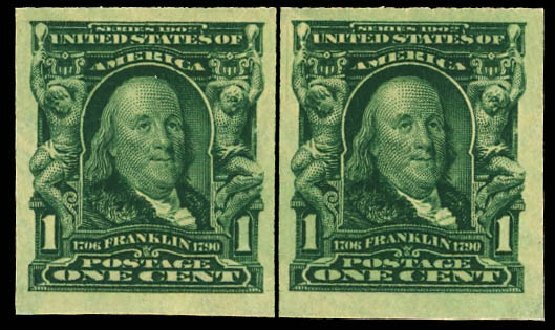 1906, 1¢ blue green, Schermack type II perfs (Scott 314), pair, o.g., lightly hinged, fresh and Very Fine, with 2009 P.F. certificate. Scott $350. Estimate price $250 – 350. 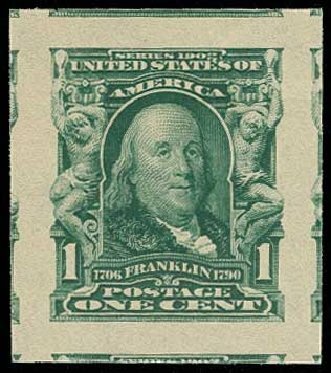 USA (Scott 314) 1906 FRANKLIN 1? 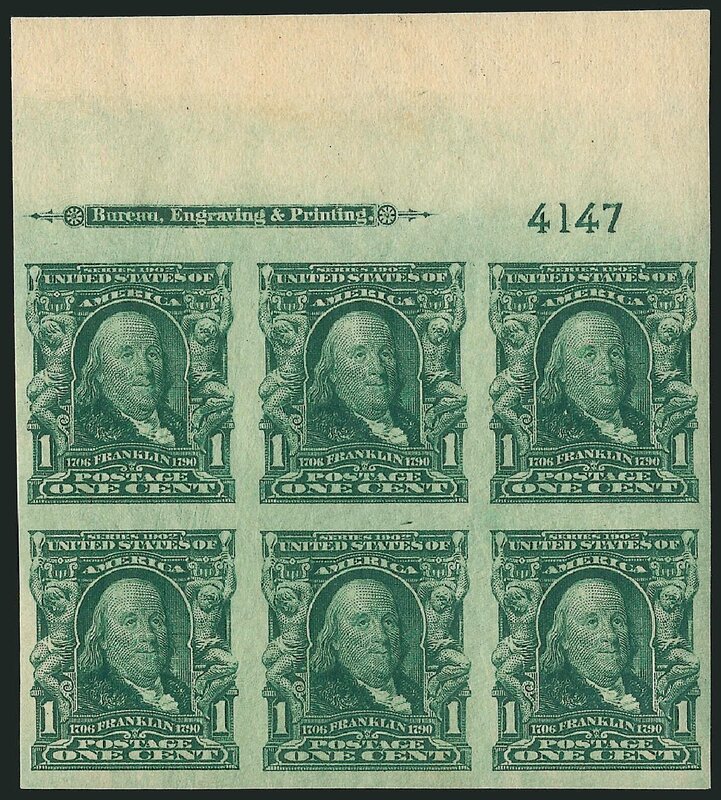 BLUE GREEN IMPERF (BOTTOM PLATE) Imperforate bottom plate block of 6 (#3122) with imprint. Original gum, previously hinged, very fine. Cat $200. 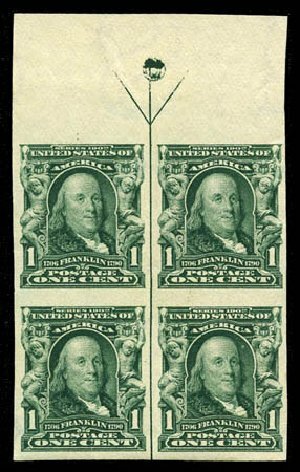 1906, 1¢ blue green, imperf (Scott 314), top plate block of 6, o.g., stamps never hinged, hinged in selvage only, an impressive wide top with unusually rich color printed on fresh clean paper, quite extraordinary, Superb. 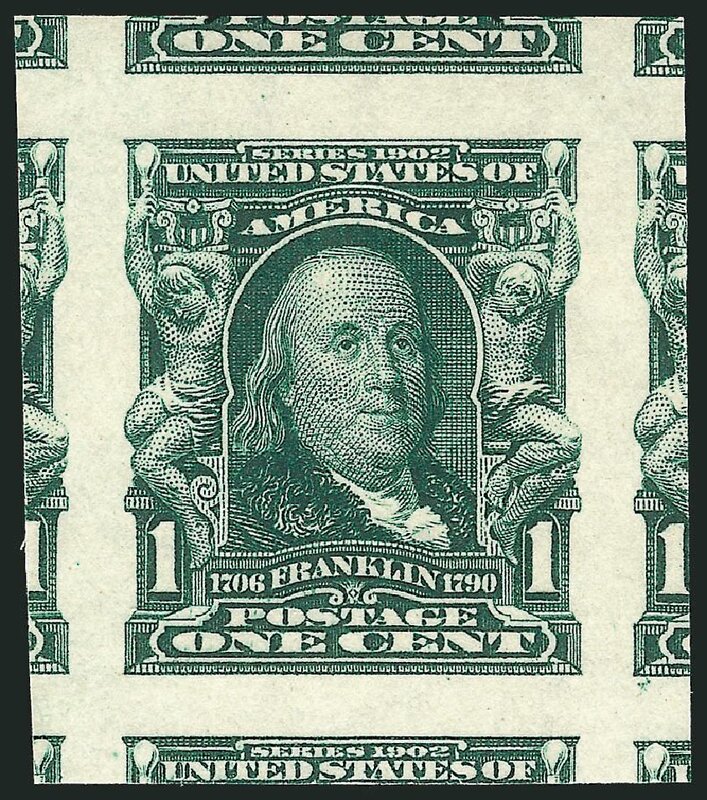 Scott $200. Estimate price $200 – 300. 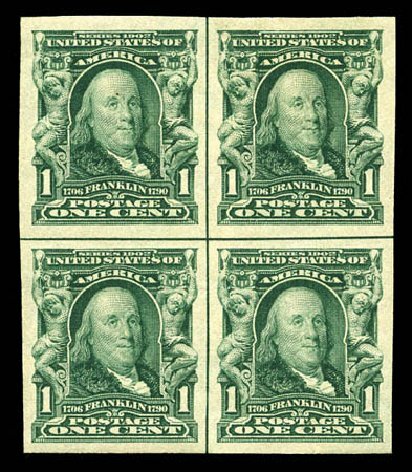 1906, 1¢ blue green, Schermack type I perfs (8 holes) (314), block of 4, o.g., lightly hinged (2 stamps never hinged), rarely offered block, completely sound and choice, Very Fine, 1952 and 2003 P.F. certificates. Scott $320 for two pairs. 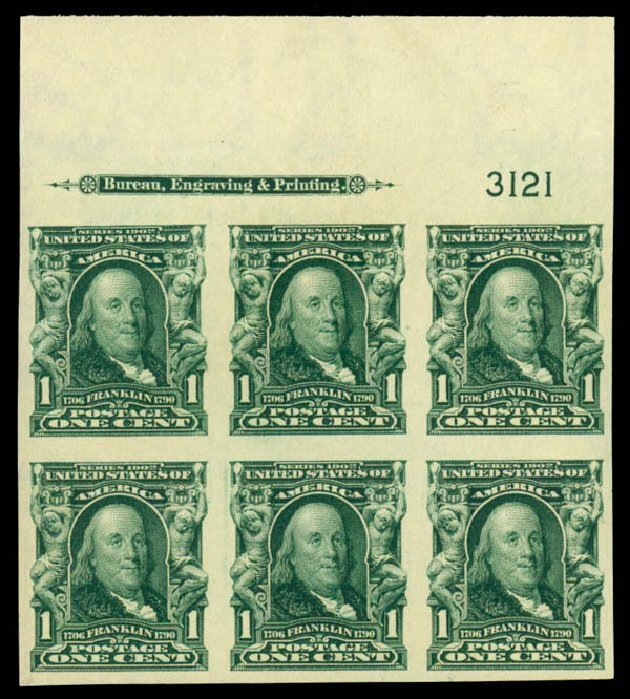 Estimate $500 – 750. 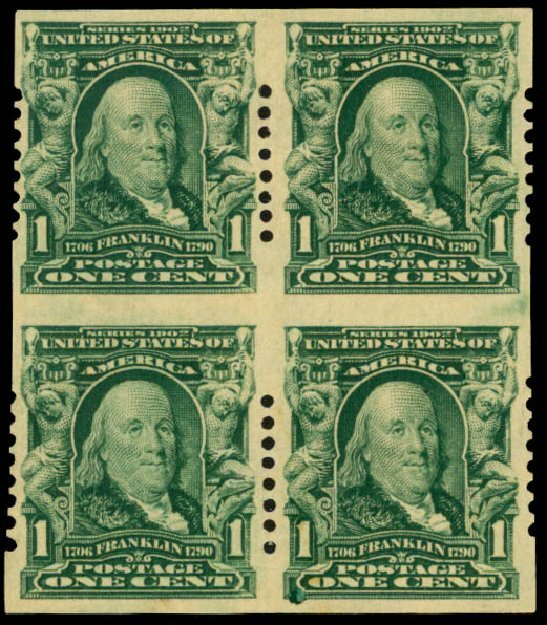 1906, 1¢ blue green, imperf (Scott 314), left plate block of 6, o.g., never hinged (minor natural gum creases), handsome example with the deepest and richest color obtainable, Extremely Fine. 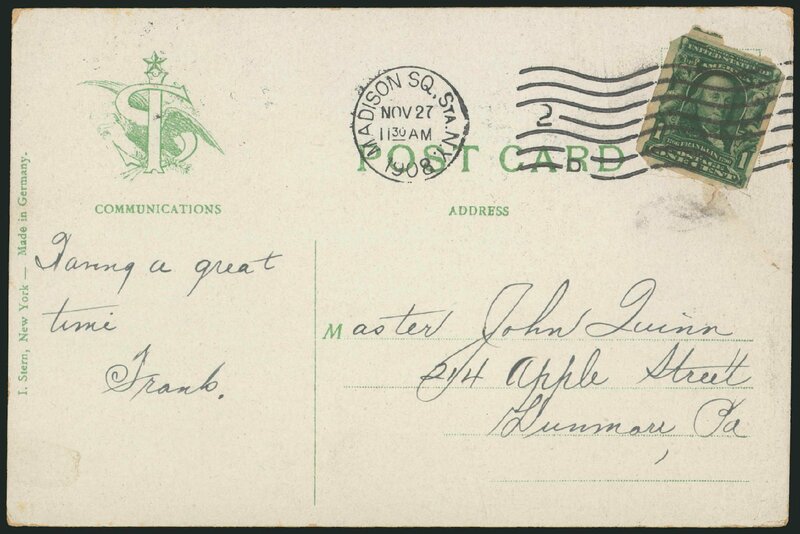 Scott $325. 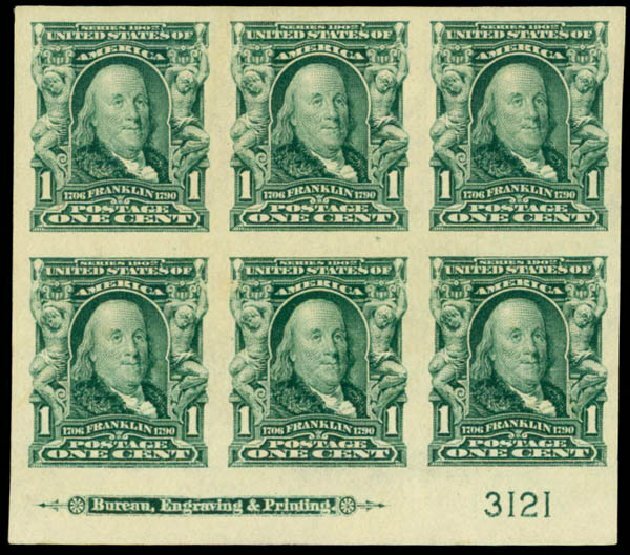 Estimate $150 – 200. 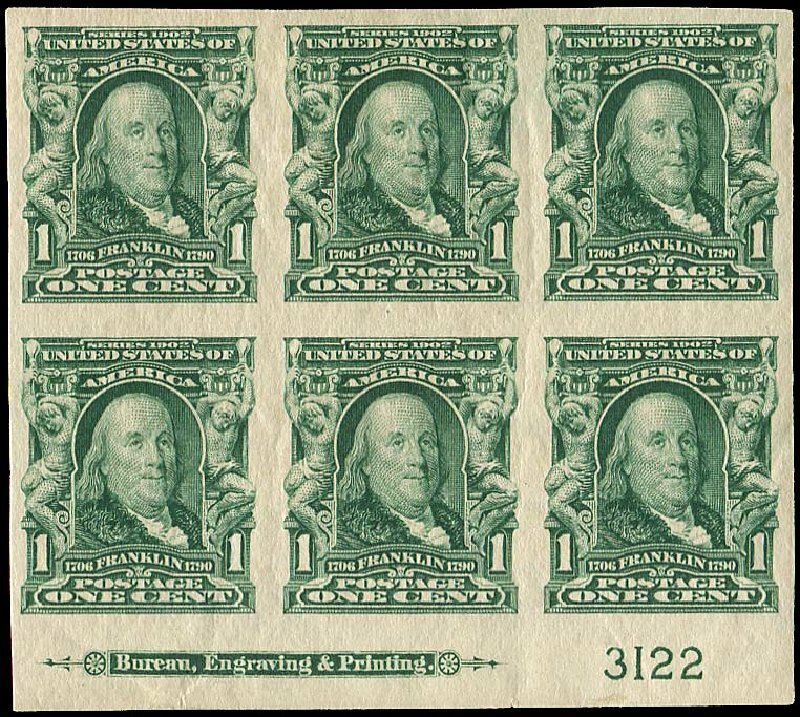 1906, 1¢ blue green, imperf (Scott 314), bottom plate block of 6, o.g., never hinged, GEM quality, dazzling color printed on bright white paper, an exemplary showpiece, Superb. 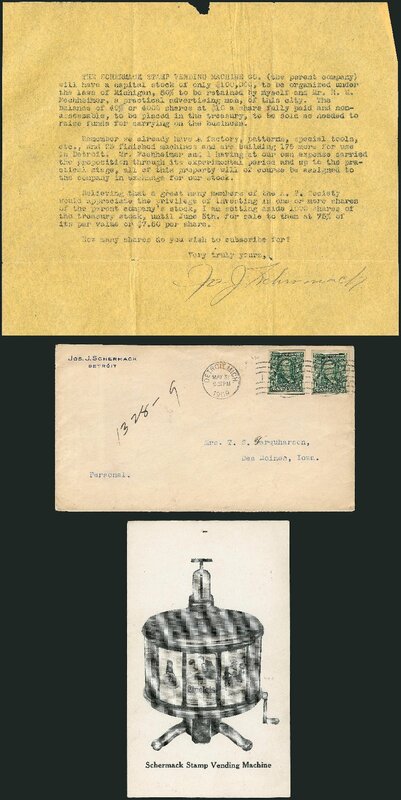 Scott $325. Estimate price $250 – 350. 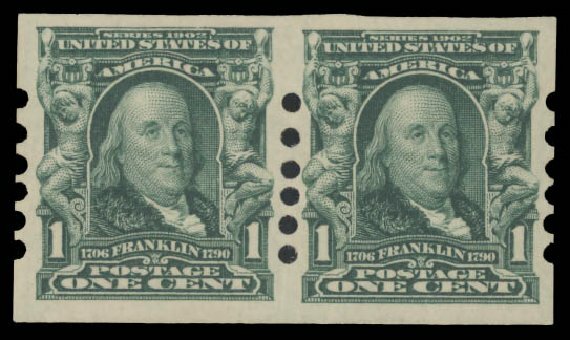 1906, 1¢ blue green, imperf (Scott 314), horizontal line pair, o.g., never hinged, extraordinary GEM quality condition, fabulous deep rich color and nice big margins, an exemplary showpiece, Superb. 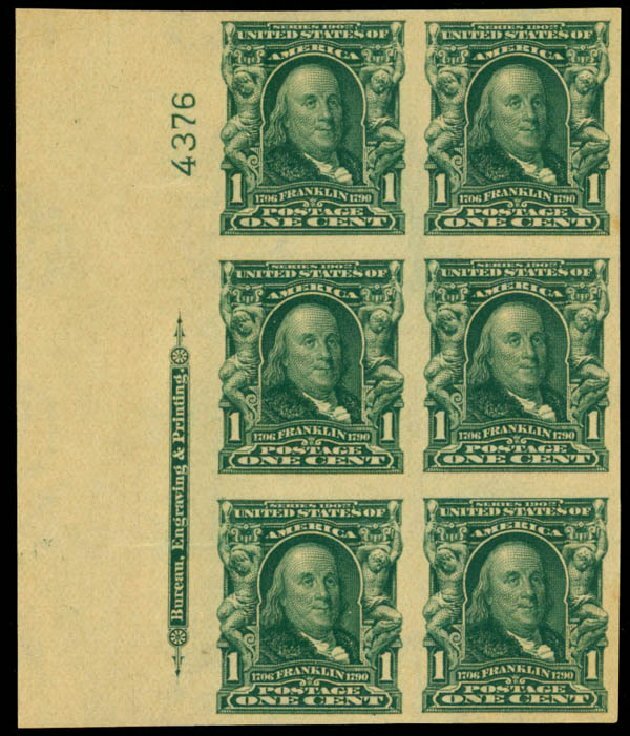 Scott $65. Estimate $100 – 150.